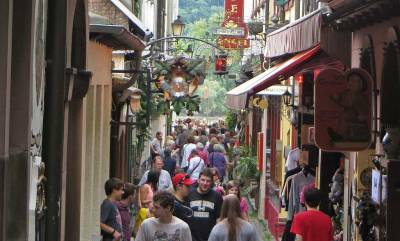 Wander the pedestrian-only Drosselgasse (Drossel Alley) when you visit Rüdesheim. Have dinner at one of the many restaurants and bars on this very short street. It’s the main attraction for river passengers who visit Rüdesheim. The Breuer’s Rüdesheimer Schloss on Drosselgasse is a popular choice. So is the Winzerkeller Restaurant. 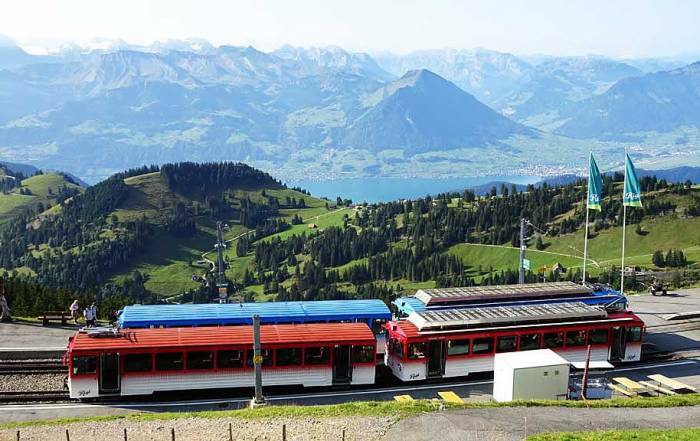 Take the gondola chairlift to the Niederwald Monument for views over the Rhine. The monument was built in the late 1800s to recognize the re-establishment of the German Empire. 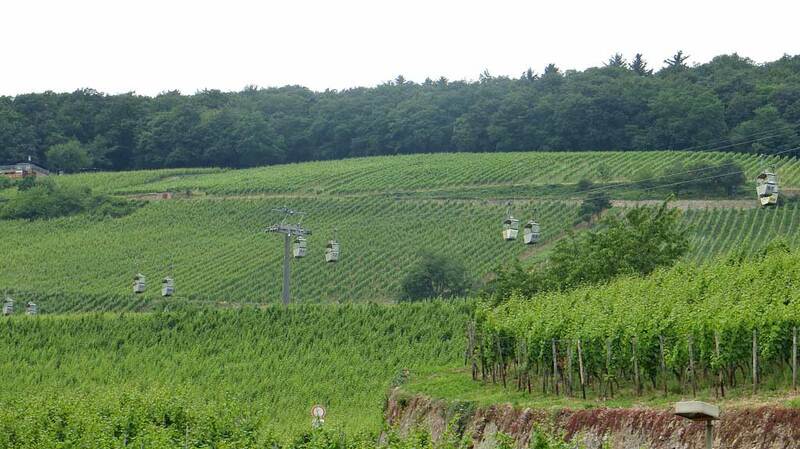 The chairlift starts at a station in the middle of the small village of Rüdesheim. Siegfried’s Mechanical Instrument Museum – one of the world’s biggest collections of self-playing mechanical musical instruments. Siegfried’s Mechanical Instrument Museum is in the Bromserhof, which is a 15th century building. Tour the Medieval Torture Museum. Walk past Boosenburg Castle, which was built in the 800s, but is not open to the public. Beside it are vineyards and the Wine Museum at Brömserburg Castle. St Jacob’s Parish Church and the Klunkhardshof, which is the oldest building in Rüdesheim. Adlerturm (the Eagle Tower) was part of the city fortification built in the 1400s. Today the Eagle Tower is a bank. The Benedictine Abbey of St. Hildegard is located on the hillside above the town. 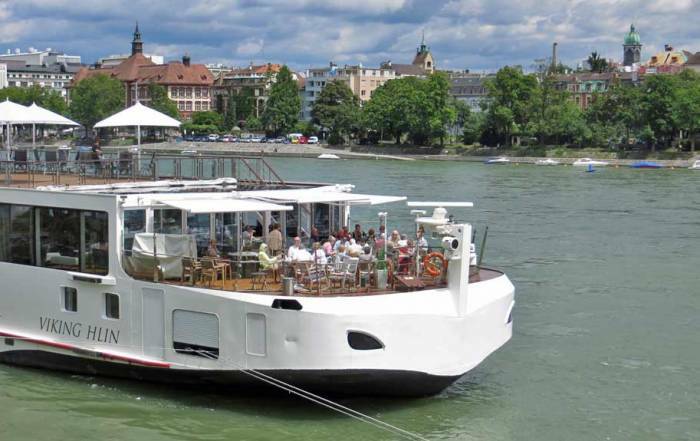 Take a Romantic Rhine River day cruise to Koblenz with KD Rhine. The Upper Middle Rhine is a classic area for viewing castles on the Rhine. Breuer’s Rüdesheimer Schloss – family run business with one of the most popular restaurants on pedestrian-only Drosselgasse street. Rüdesheim weather is the best in summer. Average temperatures peak in July and August at 80 F (26 C), while lows are about 55 F (13 C). By December and January average highs are 40 F (5 C) and average lows are just below freezing. Rainfall is light throughout the year, but tends to spike in July. Rüdesheim weather is perfect in August, but spring and fall may be more enjoyable because there are less tourists at that time of year. 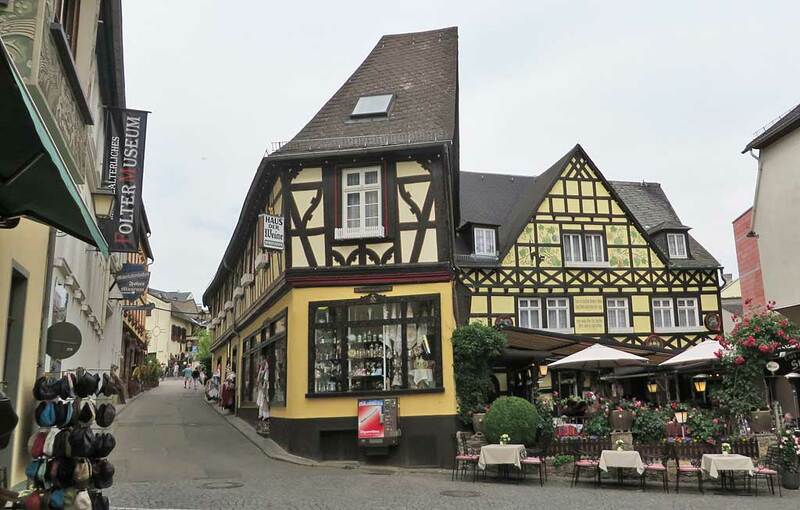 The nearest international airport for you to get to Rüdesheim is Frankfurt Airport (FRA). From the airport you will need to take a train for about 1.5 hours. Koblenz is an hour north by train at the down river end of the castles along the Romantic Rhine. 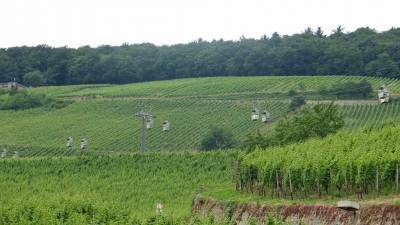 The Romantic Rhine is also sometimes called the Upper Middle Rhine Valley. 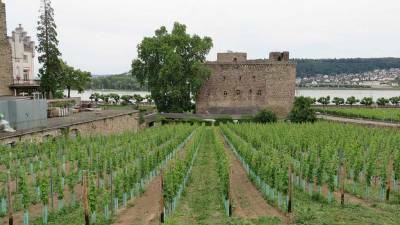 You can reach Rüdesheim on a day trip from Koblenz. 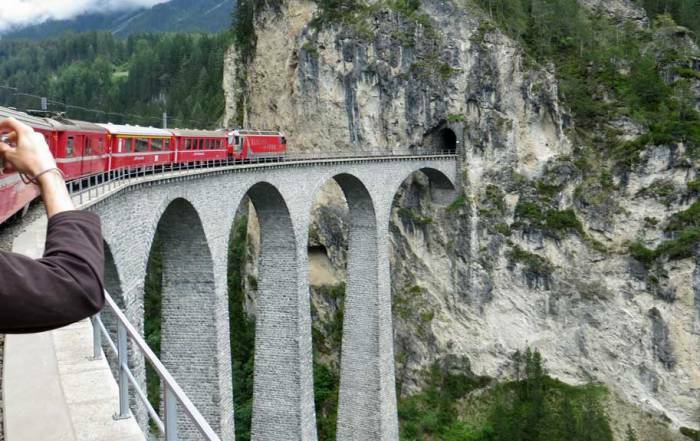 Ride the train from Koblenz to Rüdesheim and then take a local river cruise like KD Rhine back to Koblenz. The flow of the Rhine River makes it a much better to cruise downstream toward Koblenz, because the trip along the river is much faster. 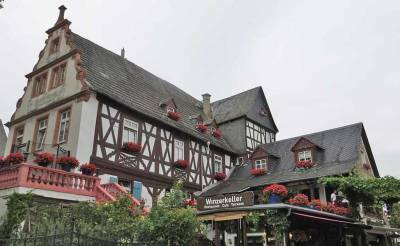 Most Rhine River Cruises spend the night at Rüdesheim if they are heading downstream through the Romantic Rhine gorge. 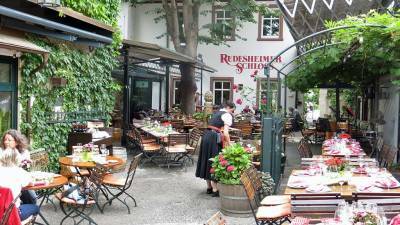 If the river cruise is heading upstream through the Romantic Rhine, you will spend the night in Koblenz. 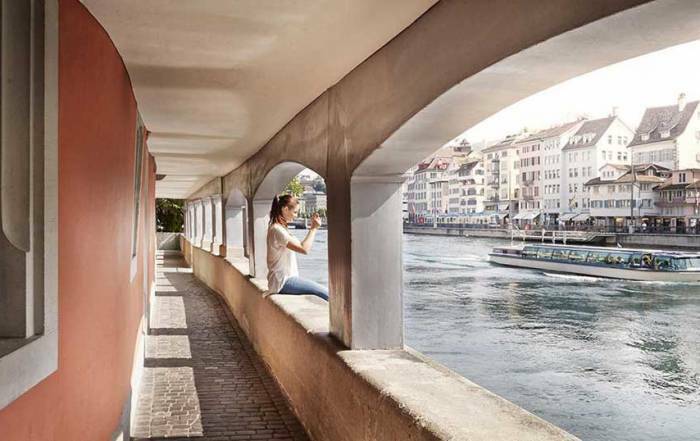 Check out our Romantic Rhine blog. Rüdesheim is also called Rüdesheim am Rhein (on the Rhine). About 10,000 people live in Rüdesheim. This small village marks the upper river end of the section of the Rhine River known as the Romantic Rhine. 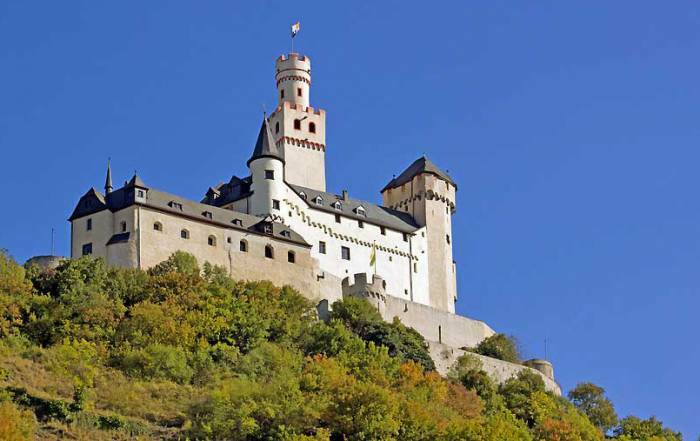 The Romantic Rhine is the best place to view the old castles along the Rhine River. The village of Rüdesheim was originally an important wine growing area, but the popularity of Rhine River cruising has made tourism the major economy in the summer. 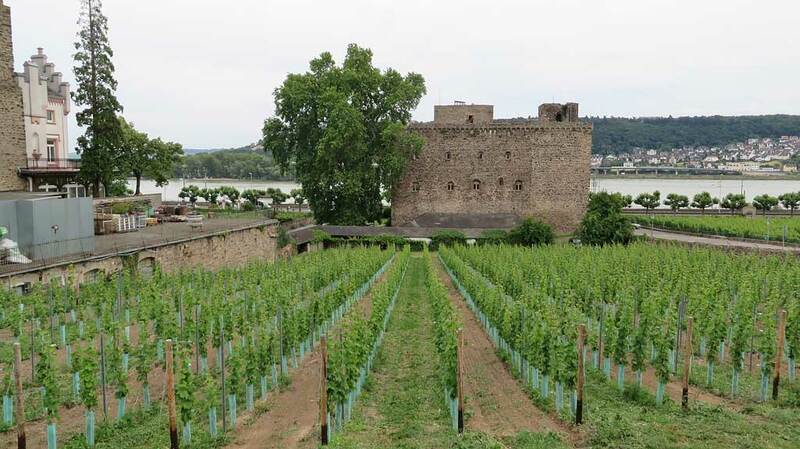 Rhine River Cruises often stay docked over night in Rüdesheim so that passengers can spend the full day viewing the castles of the Romantic Rhine the next day.